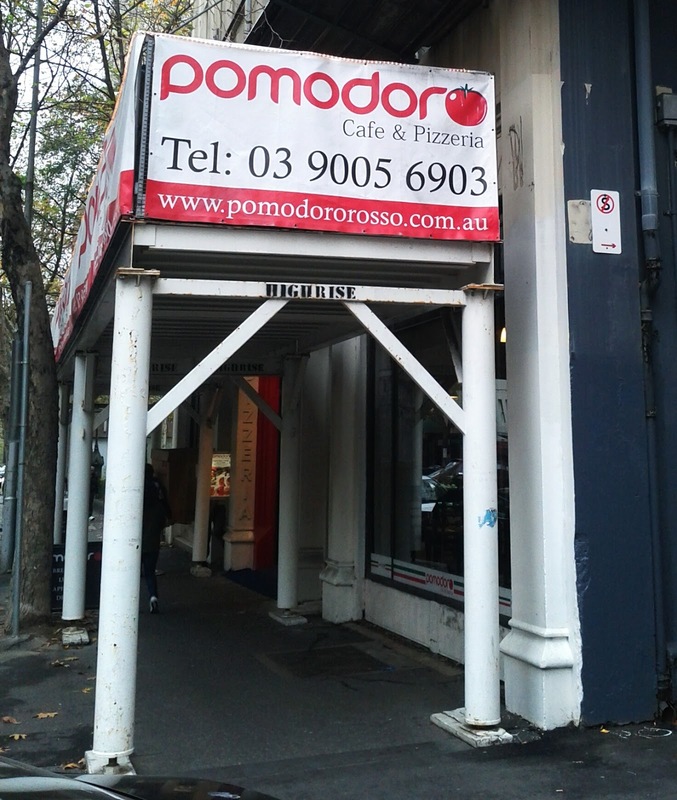 I walked past Pomodoro Cafe and Pizzeria innumerable times before finally lunching there. 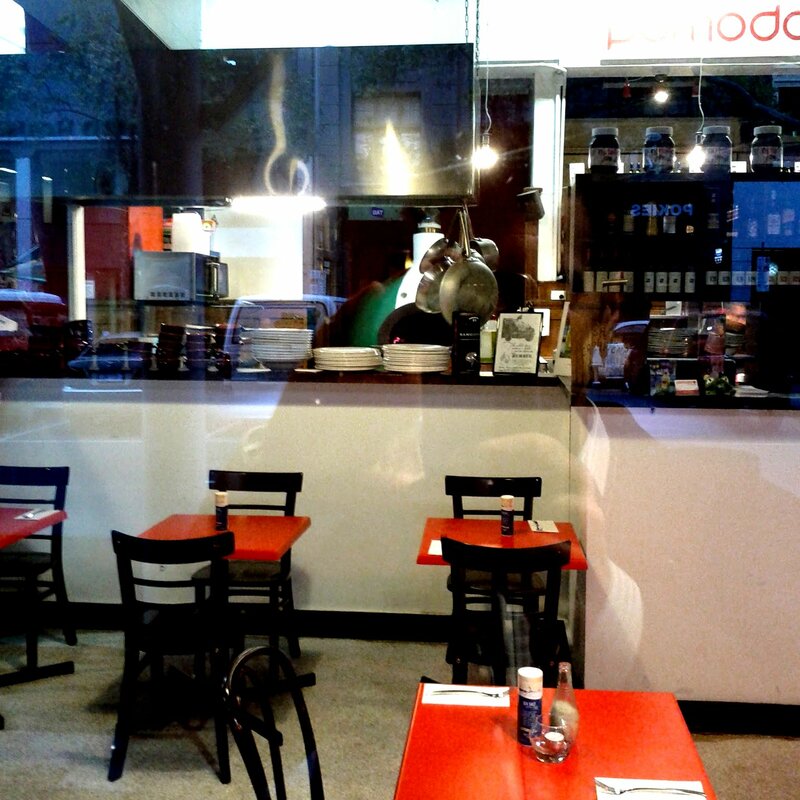 There are floor to ceiling windows in the section near the entrance and you can see through to the kitchen an pizza oven from the street. There are tables in a slightly raised section to the side and a further dining area at the rear. 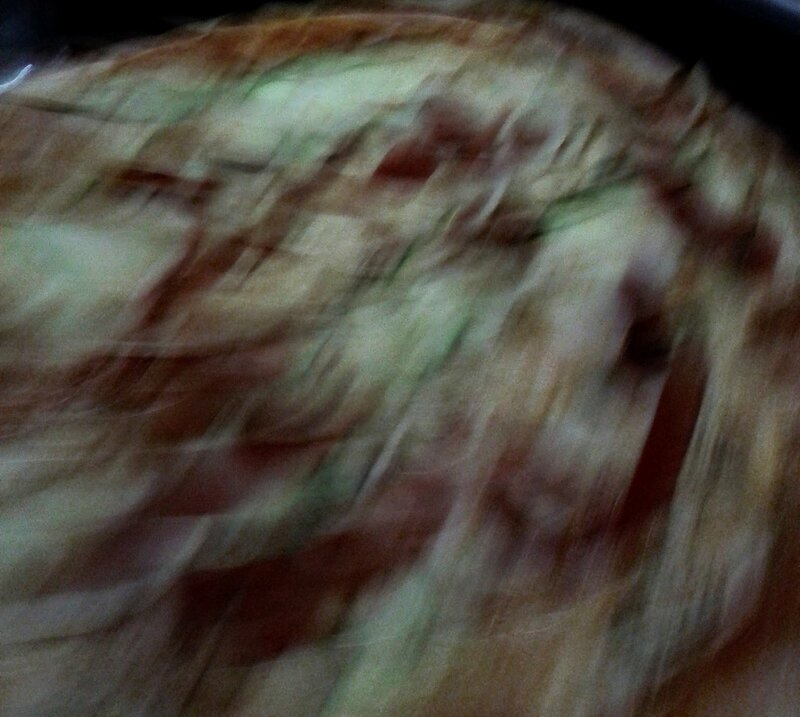 We had 4 pizza's shared between a group of 5 and that was more than enough. They were all thin and beautifully toasted in the wood oven. 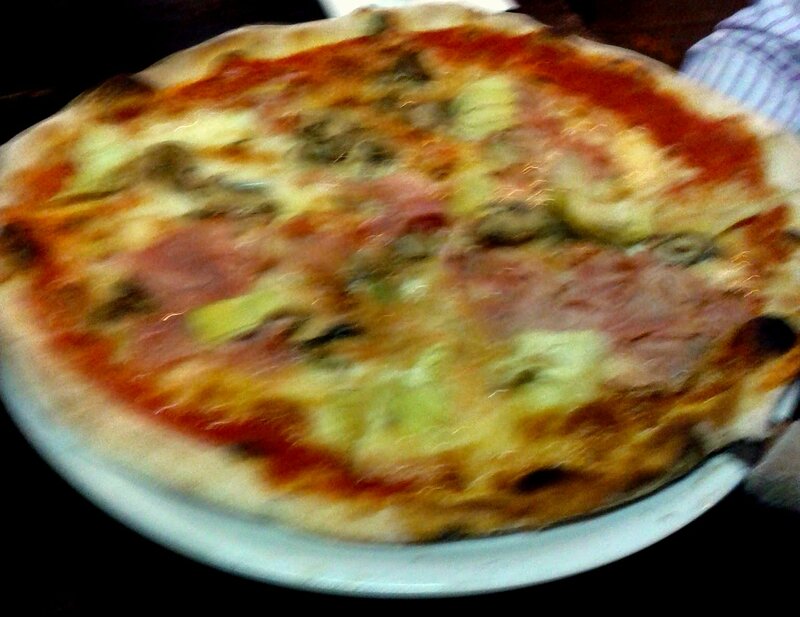 The capricciosa, topped with tomato, fior di latte, ham, mushrooms and artichokes looked great. I had the vegetarian featuring tomato, fior di latte cheese, eggplant , zucchini, roast capsicum and onion. I'd expected the veggies to be all pre-roasted for some reason, but only the capsicum was, but the flavours were still good, the only disappointment was the sogginess in the middle. The other two choices were the calabrese with tomato, fior di latte cheese, hot salami and roast potatoes and the margherita, which both went down well. I'm a fan of proper pizza, so would happily go back, and the prices $10 and $20 for a very decent sized pizza were fair. The service was good and I'd happily return.